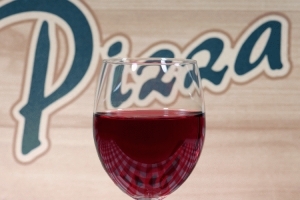 YES, wine goes with Pizza. South of the Spokane Arena and West of the Flour Mill. Pretty excited about this. David's DaVinci (pesto and feta) is a edible masterpiece that goes so well with the Lone Canary Barbera, Wahluke Slope. But you can also pair this pizza with a Chaniti or Zin. I suggest you try Latah Creek Wine Cellars nearly sold out limited edition Zin. I usually request fresh tomatoes added. Luna makes a pretty wonderful Margarita Pizza with fresh tomatoes and basil from their patio. This pairs well with a Cabernet Savingnon. May I suggest either Barili, Overbluff's Duality, Liberty Lake Wine Cellars, or Robert Karl. Spokane has many Fab Cabs to choose from. Another noteworthy Za is Rock City Grill's Thai Chicken Pizza. If you like peanut sauce, this is the Pizza for you. Try this with a Riesling like Barrister's remarkable Riesling. or Nodland's Bebop. I like anything Thai with a Viognier. I suggest Caterina's award winning Viognier or Vixen from Overbluff Cellars. What about if you're as adventurous as a Pepperoni Pizza? That's okay, your can pair it with a Barbera or a 2003 Grande Ronde Merlot Seven Hills Vineyard, Walla Walla Valley and all of a sudden it's a gourmet delight. If you are looking to experiment in regards to Pizza and Wine pairings, I suggest you go to Left bank Wine Bar who is baking up pizza nightly and has over 60 wines by the glass. Be sure to report back with your perfect pairings. Did you know ZA is now an official word in the dictionary? The only two-letter word containing the letter Z; invented by Scrabble players in order to capitalize on that letter's high point-value. Or short for Pizza. Order in or pick up some gourmet to-go because Pizza and Vino are a marvelous match.